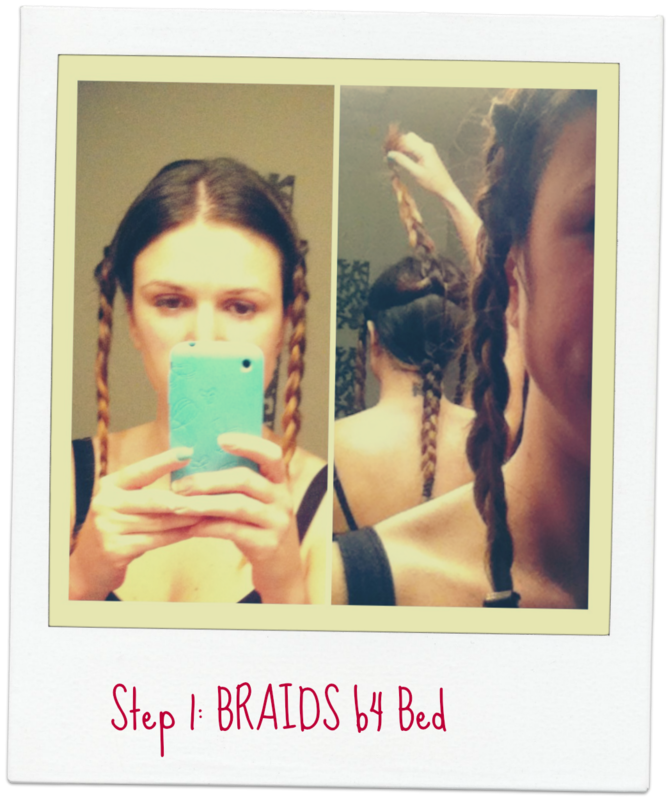 Sleeping in braids is one of the oldest tricks in the book, everyone knows its result etc. 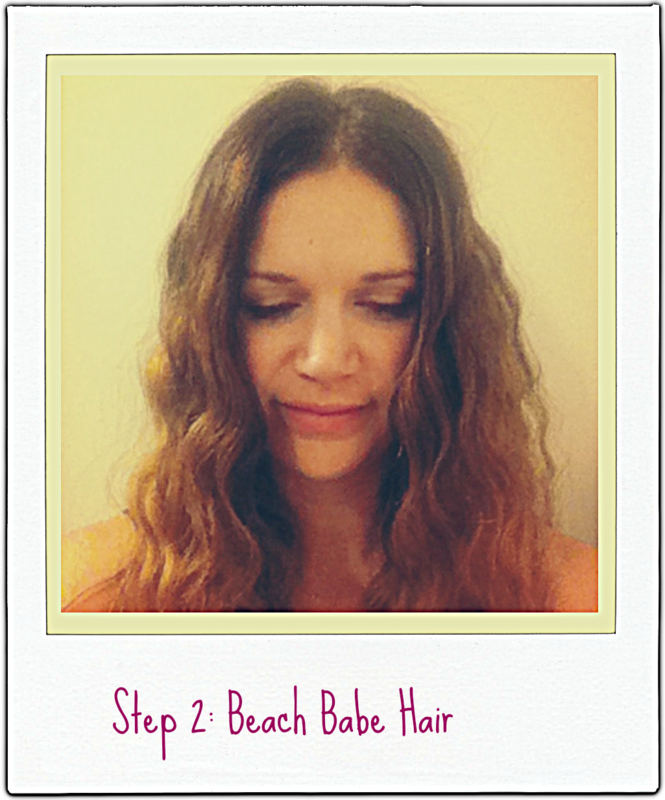 But it really is quick, easy, and a healthy hair alternative-no heat necessary! I shower a couple hours b4 I go to sleep, let it air dry a bit, then right before I crawl into bed for the night I put it into 4 basic braids. One on each side and 2 in the back. You don’t have to know how to French braid or anything, just a plain old braid, even my husband could do it;) (he’ll be embarrassed I mentioned him) anyway whip the 4 braids in, loose or tight(they will give loose or tight waves depending) go to sleep, wake up and voila! You can just leave it as is, or you can take your flat iron to the roots and make a little kink to help blend into the waves below, as well as adding volume. Just take your iron and bend your wrist to create a kink. 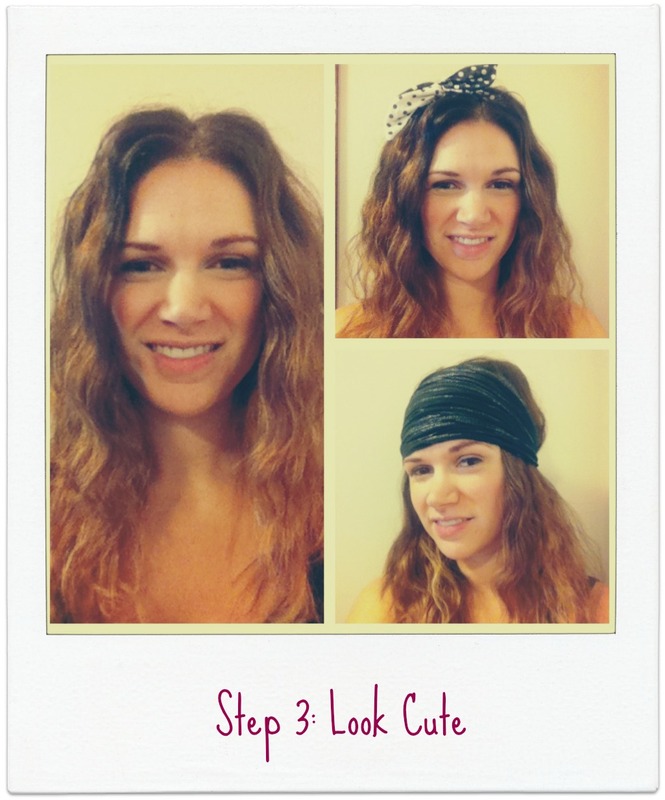 Give it a few squirts of hairspray and mess it up a bit, or you could add a headband to fancy it up a little. This really is the easiest hairdo ever!